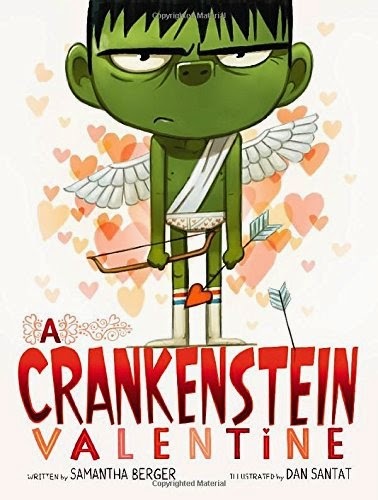 Sure we've all seen Crankenstein before, but have you seen him on Valentine's Day? YECHHHH! Cheesy cards, big smooches, heart-shaped everything, and coconut hiding in the chocolate—it's enough to turn anyone into a monster! But Crankenstein might be able to turn his day around with the help of a friend. Even monsters have a heart! I thought I'd celebrate Dan Santat's Caldecott WIN today (YAY!!!! Called it!) 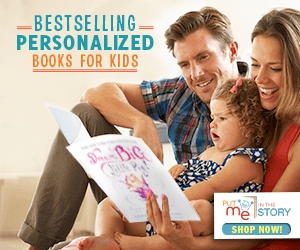 with his most recent illustrated work. And his illustrations do not disappoint! This is one cranky Crankenstein, made especially obvious by the excellent emotions obvious in the pictures. Even the end pages are put to use. The story itself is pretty awesome, because, yes, it's true, Valentine's can be a bit gag-inducing. So why not make fun of it? I'm glad Berger brought out Crankenstein again. I think kids of all ages will definitely enjoy this one.